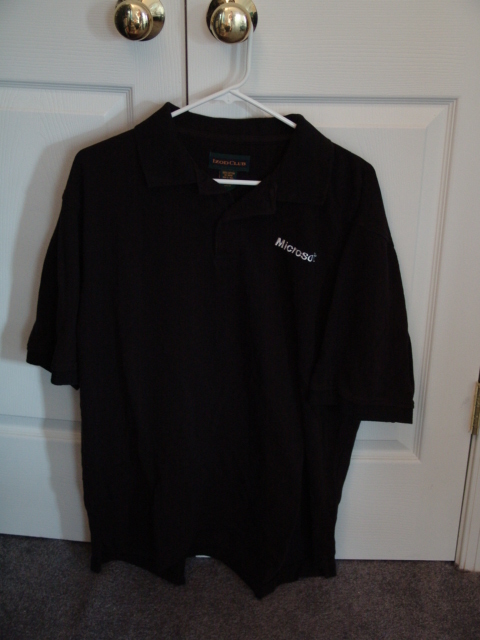 As you may or may not know, I worked at Microsoft for quite a long time: 8.5 years as a full-time employee, and 2 more years as a contractor. 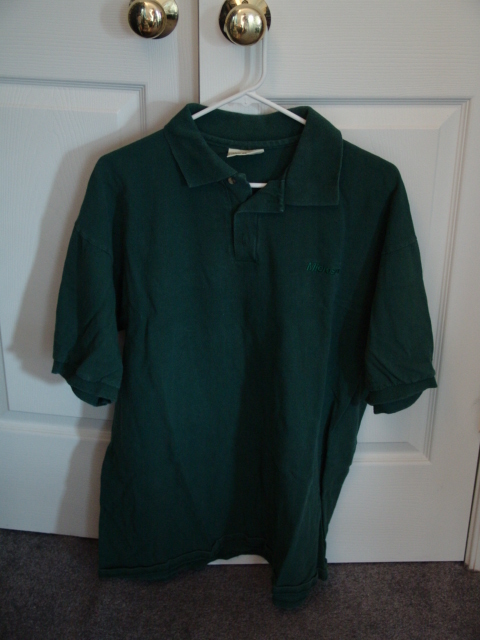 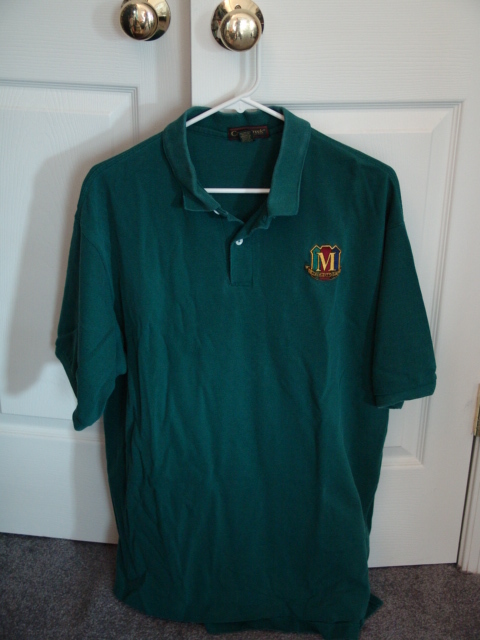 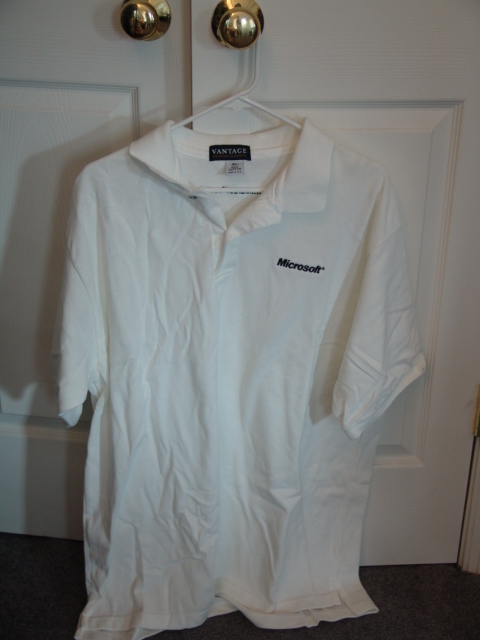 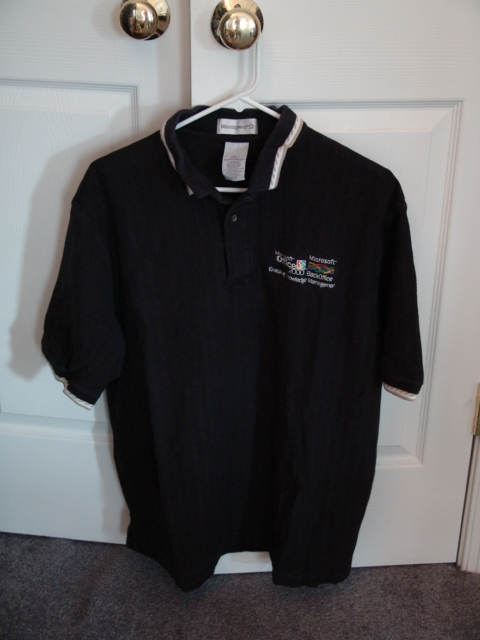 During that time, I accumulated what is surely one of the largest collections of Microsoft-logoed polo shirts in the world... at one point, I had over 100 of them, all different, hanging in my closet. 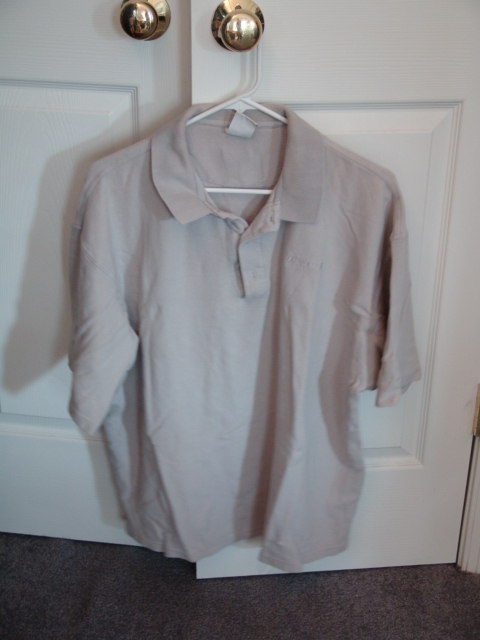 All of the shirts in the following table are in good-to-excellent condition, with no holes or other defects. 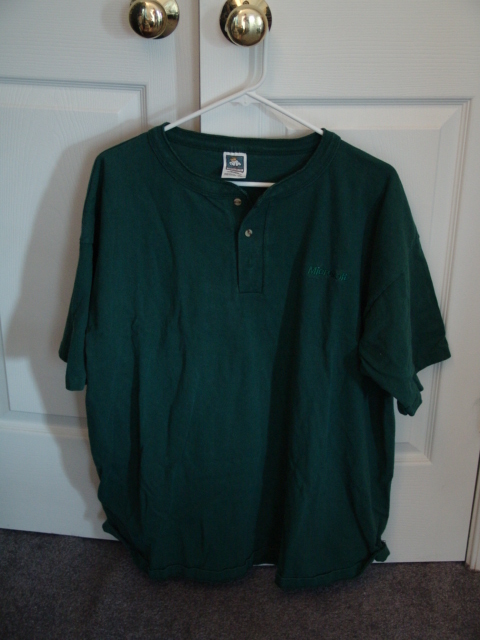 Most of these shirts are size XL, with a few XXL and L thrown into the mix. I am willing to consider reasonable offers, and the more shirts you purchase from me, the more reasonable I am willing to be. 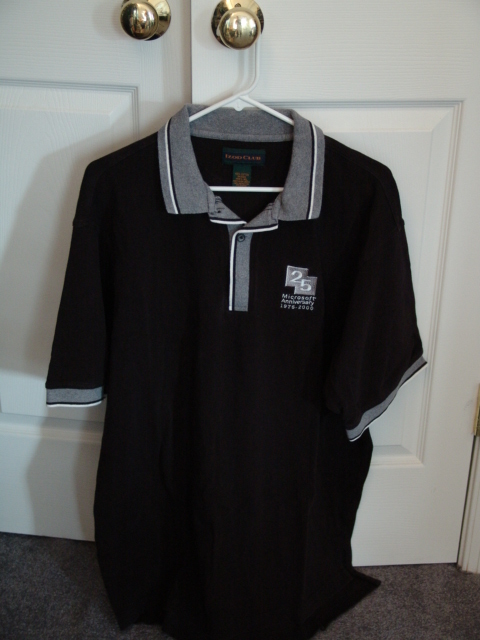 Prices do not include shipping, so you can count on an extra dollar or two per shirt to ship them within the US. 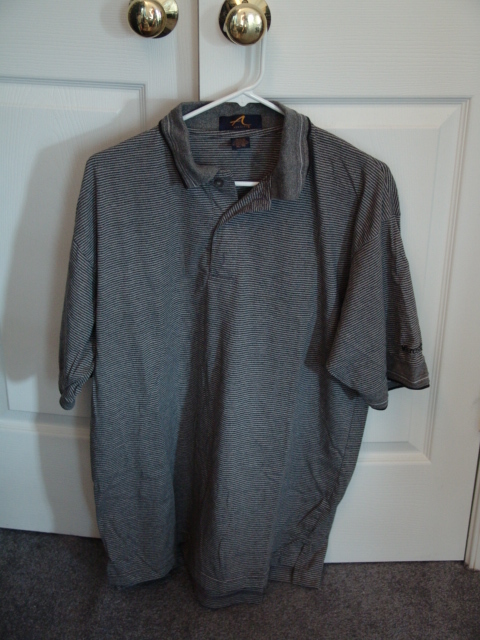 E-mail me to make me an offer! 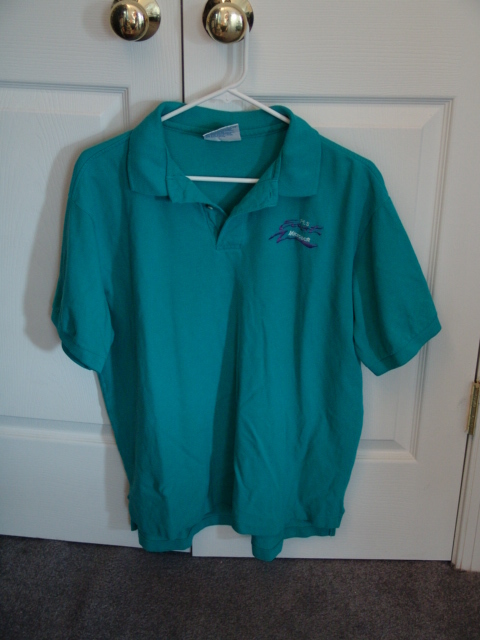 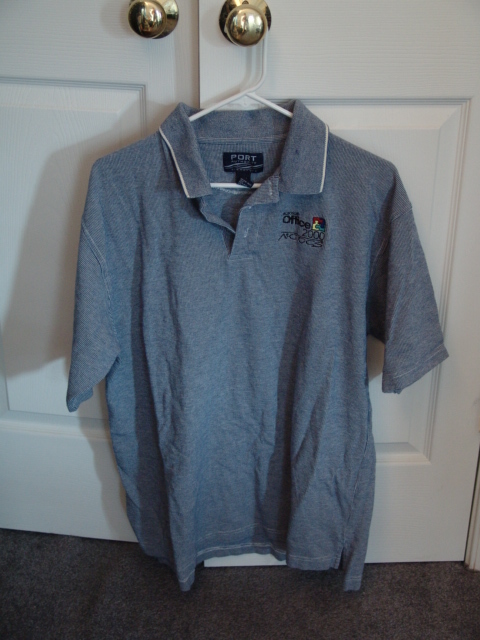 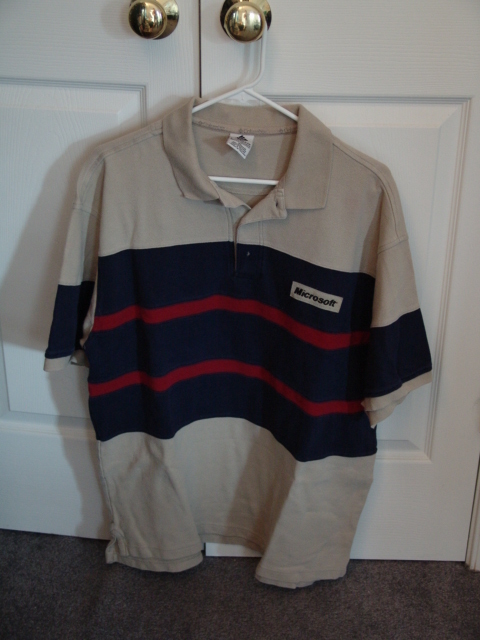 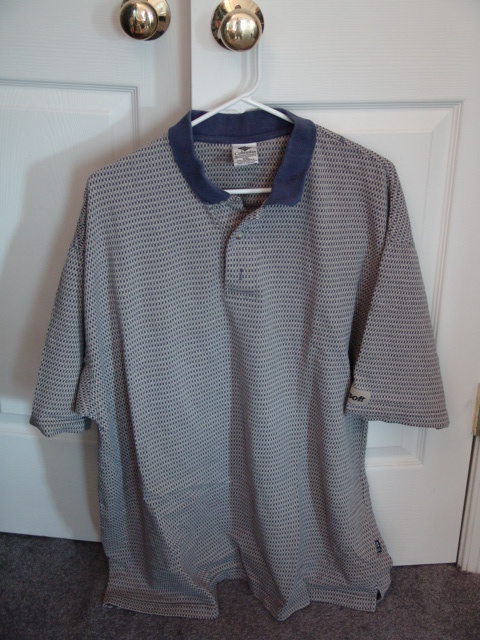 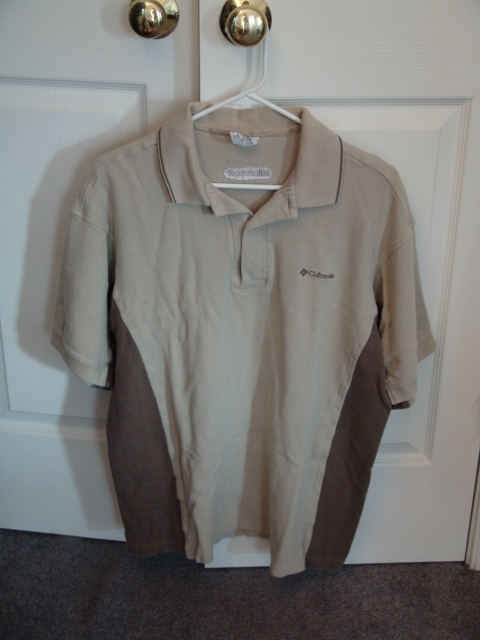 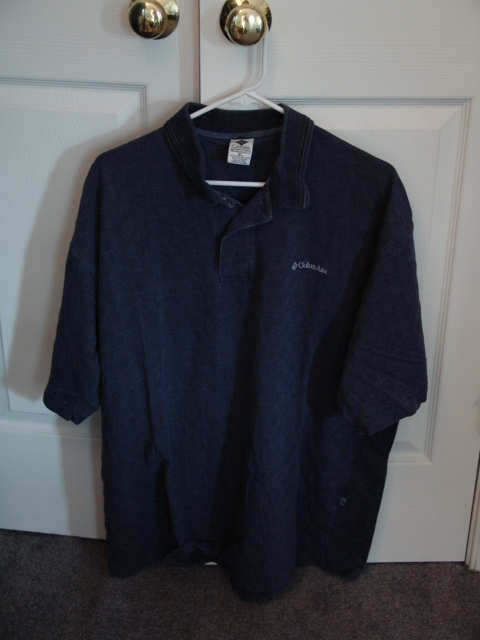 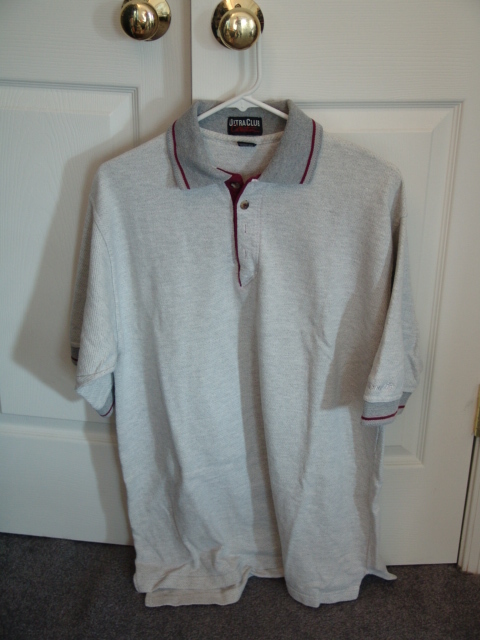 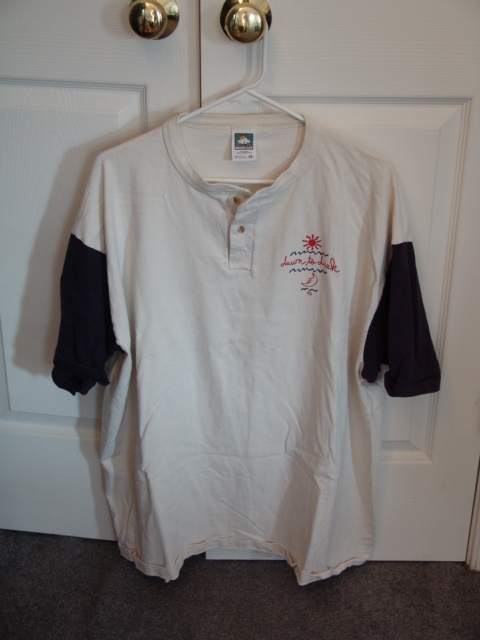 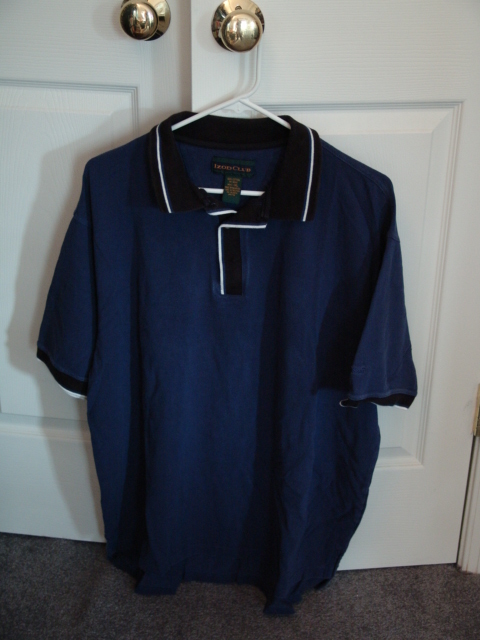 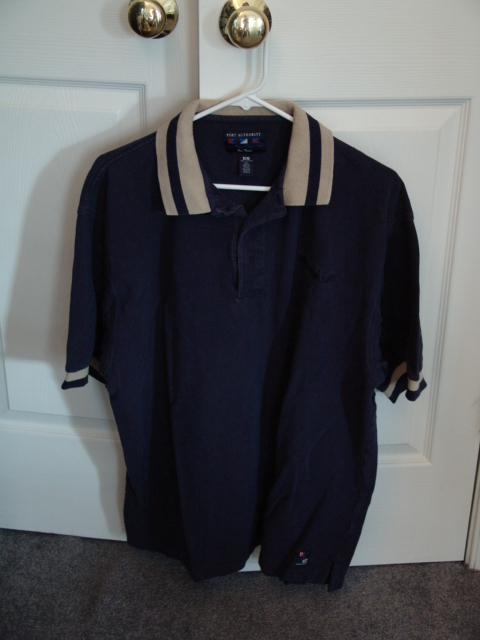 3 XL tan with blue/red stripes Columbia Microsoft logo on left chest SOLD! 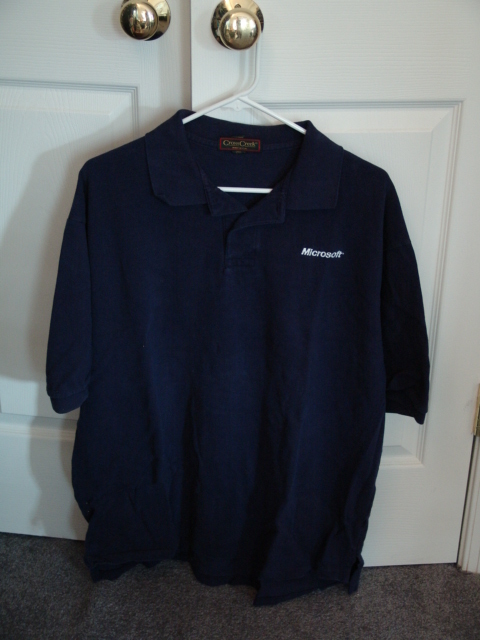 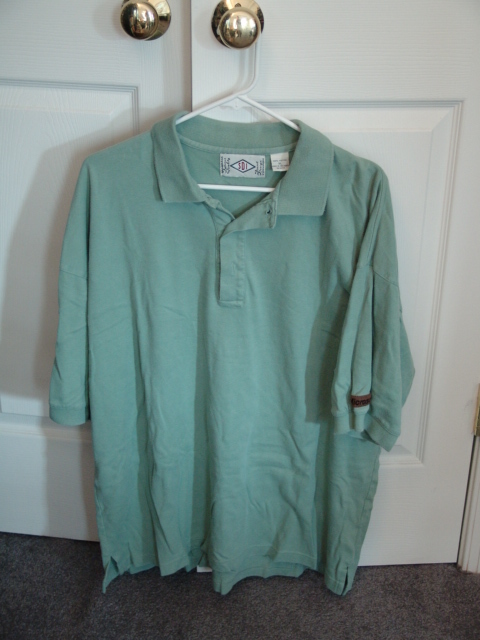 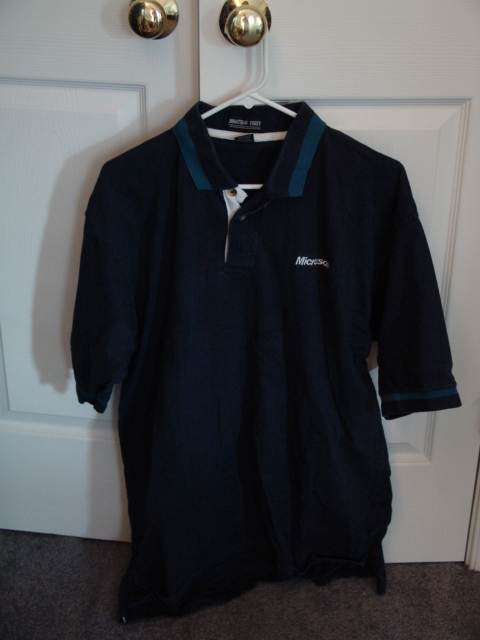 12 XL blue with green accents Jonathan Corey Microsoft logo on left chest SOLD! 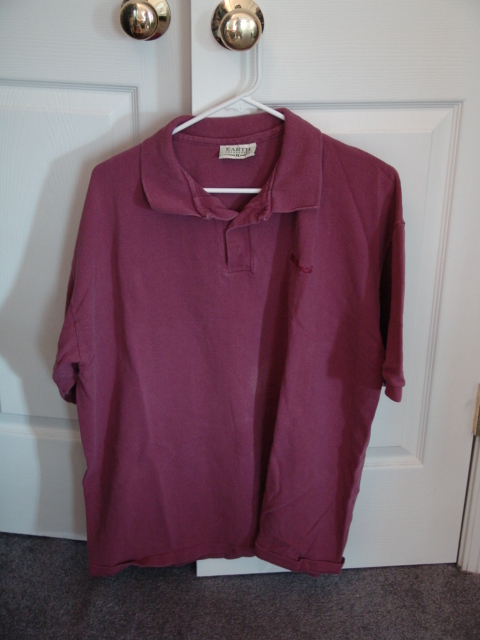 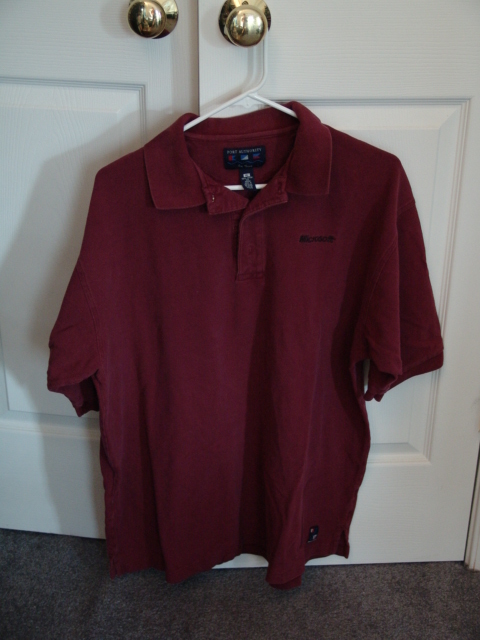 19 XL burgundy Port Authority Microsoft logo on left chest SOLD! 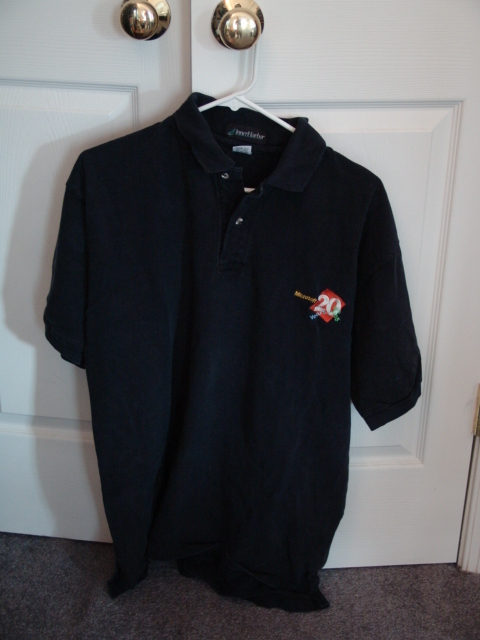 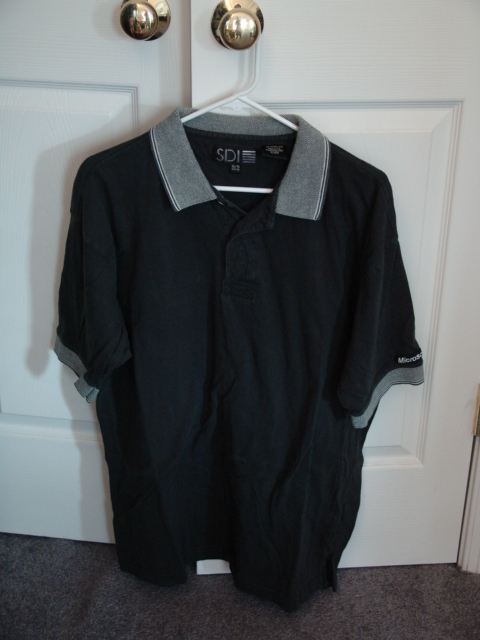 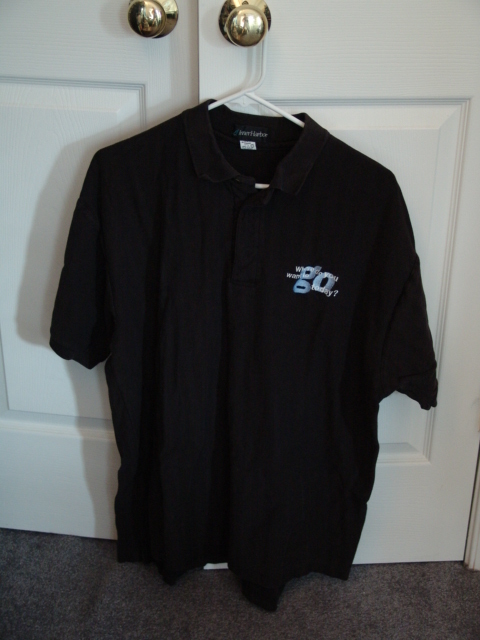 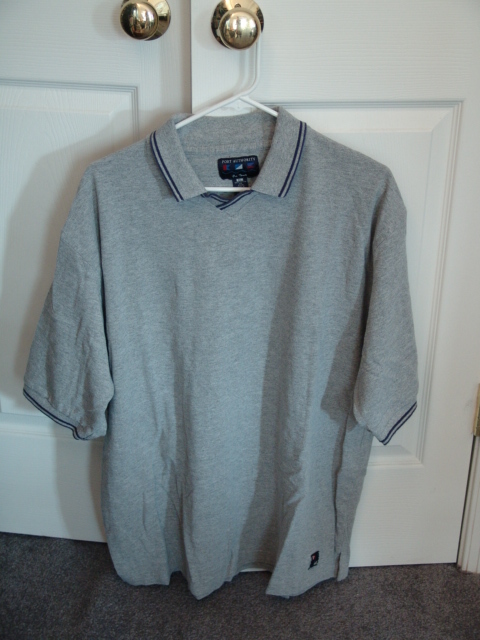 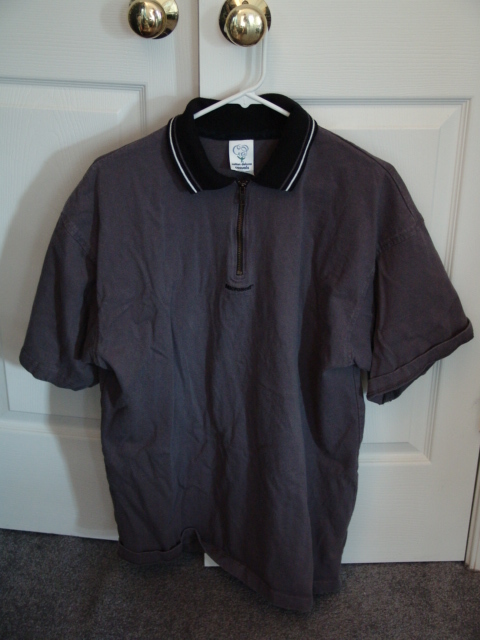 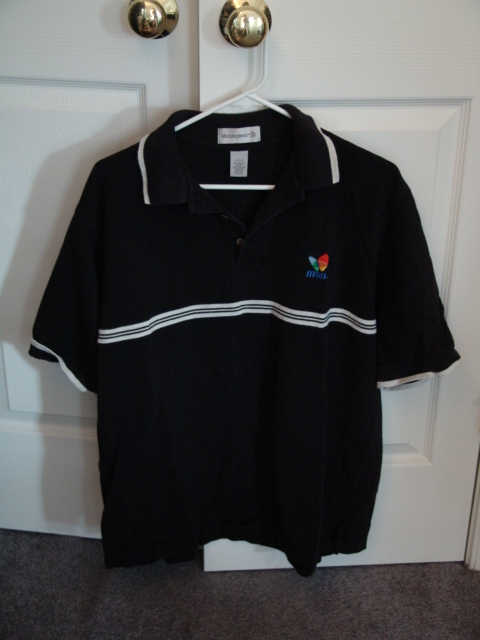 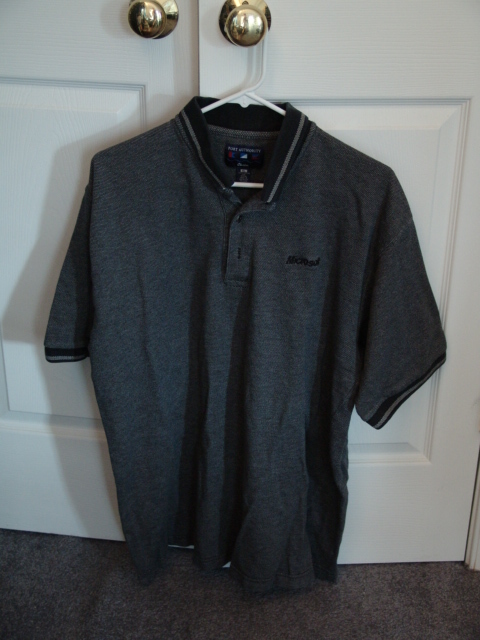 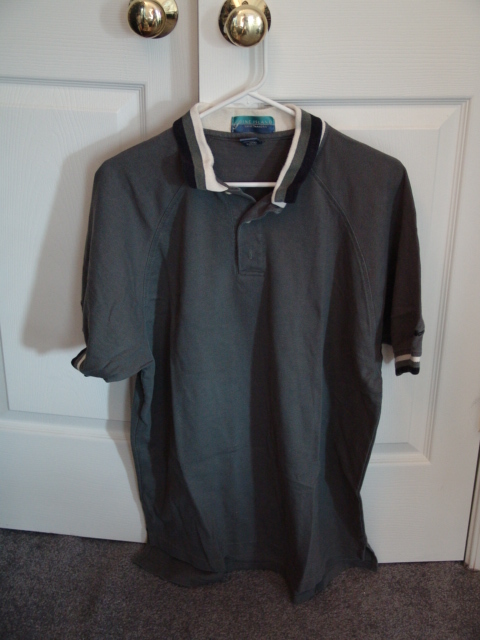 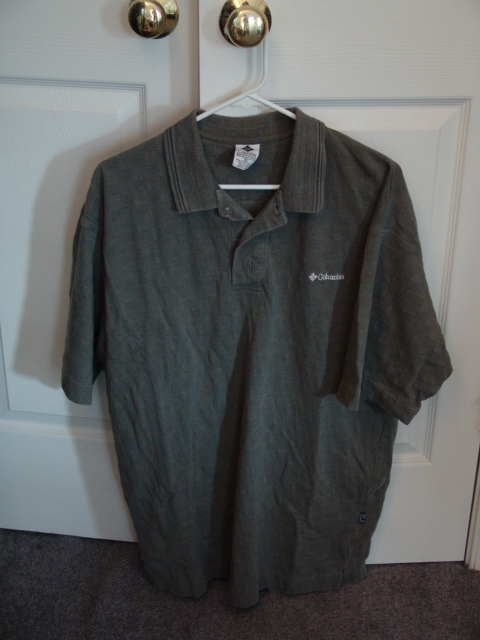 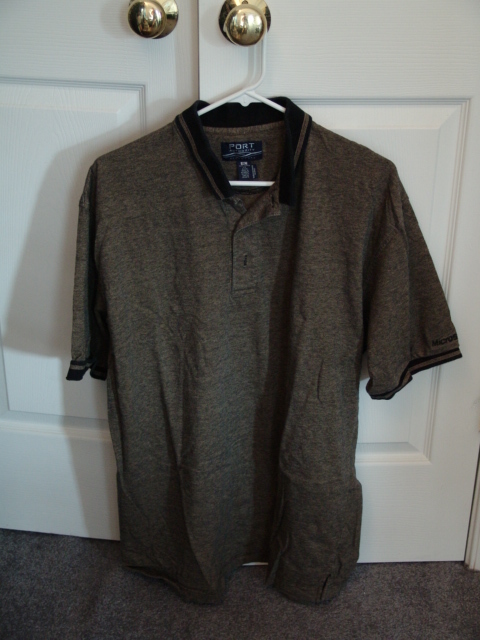 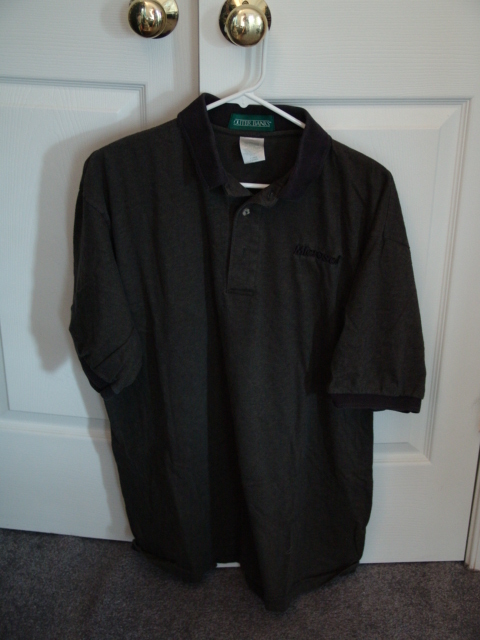 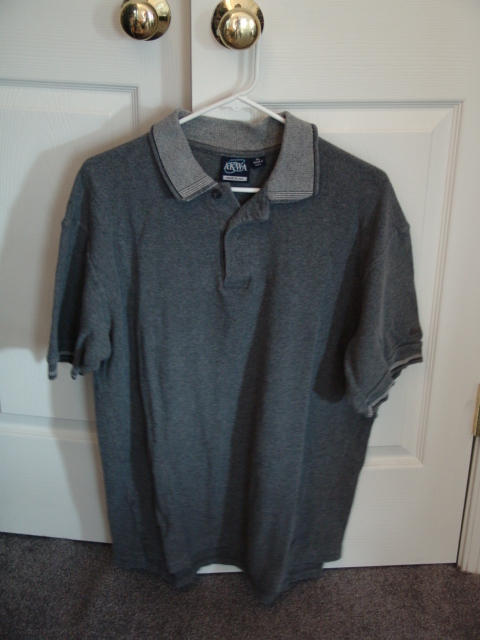 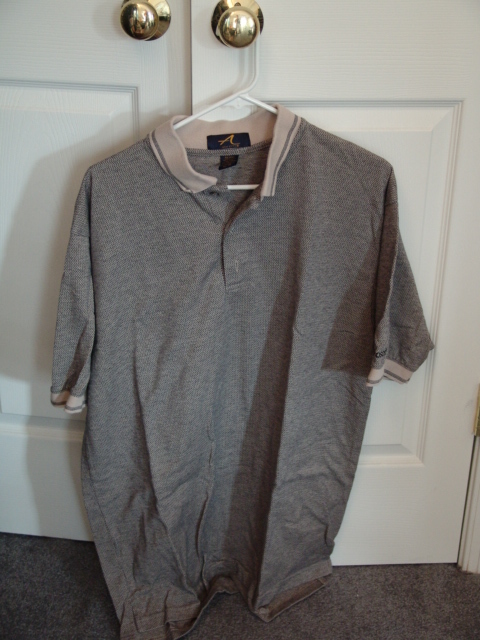 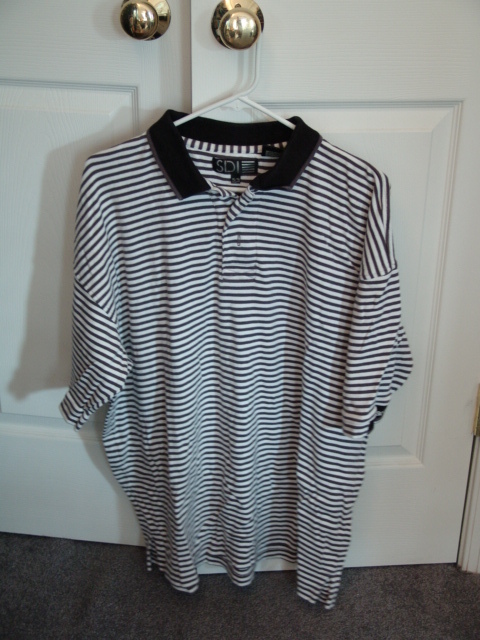 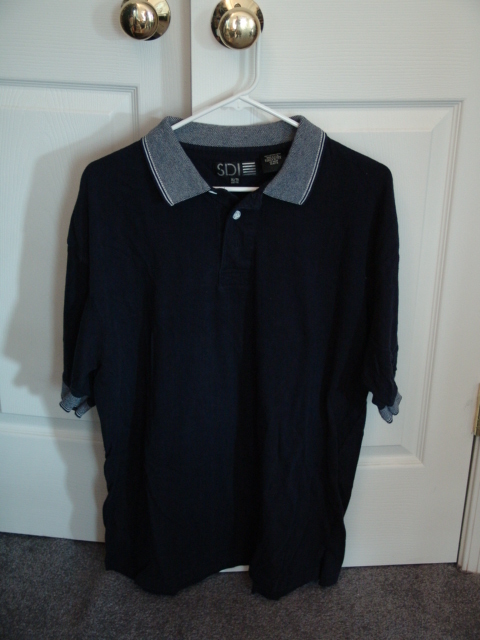 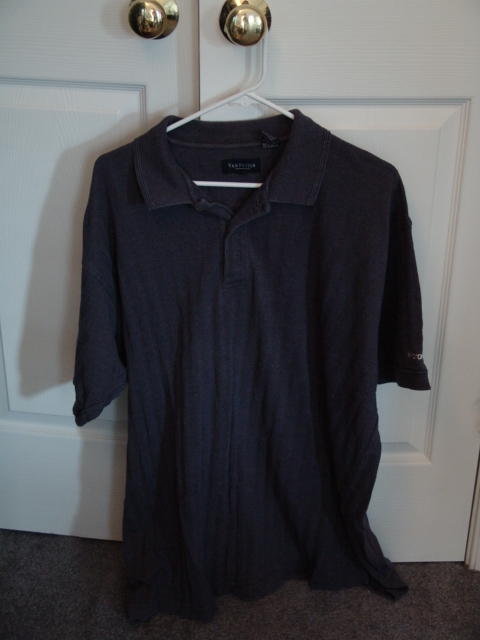 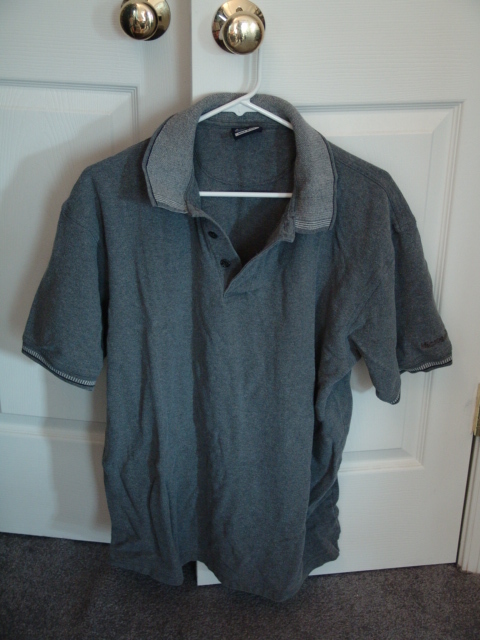 32 XL black herringbone with white accents Ash City Microsoft logo on left chest SOLD! 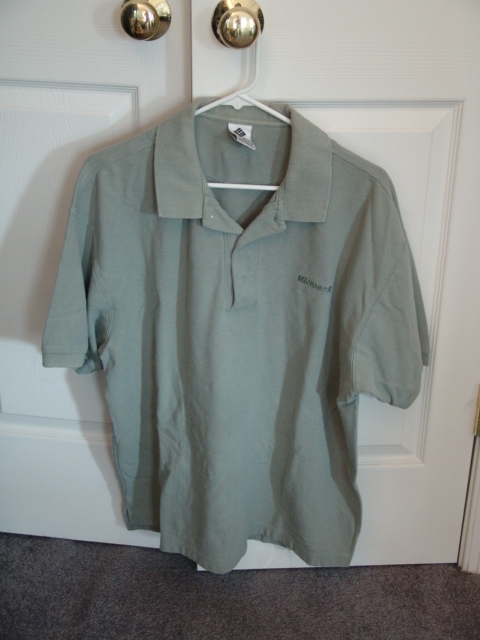 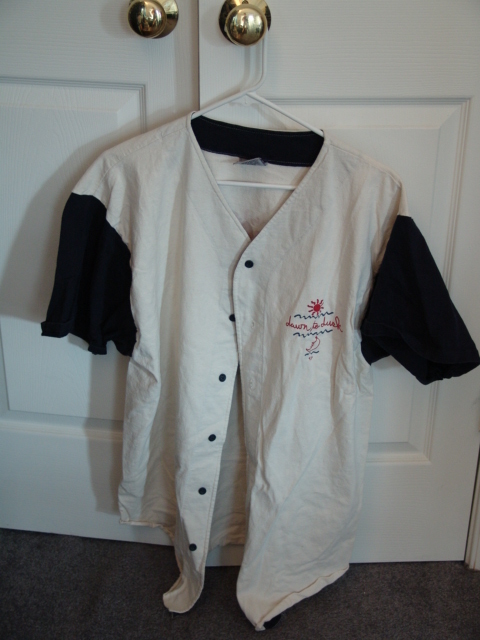 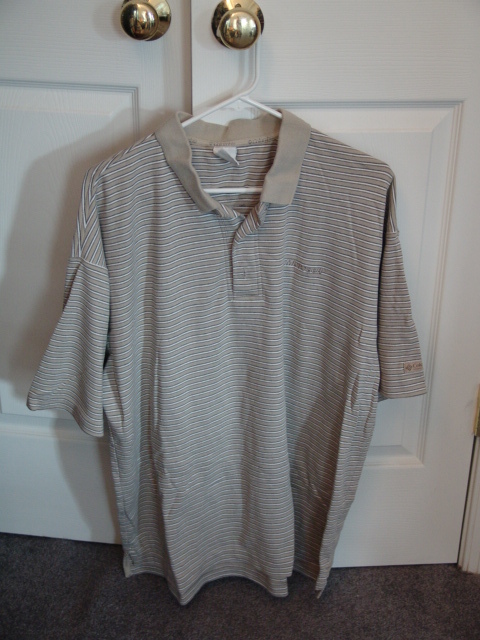 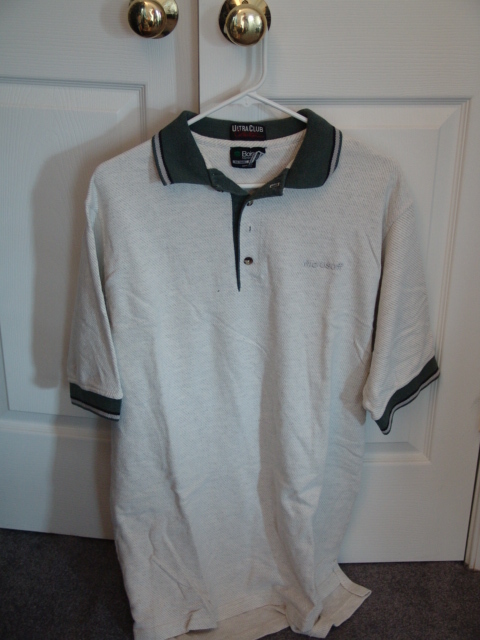 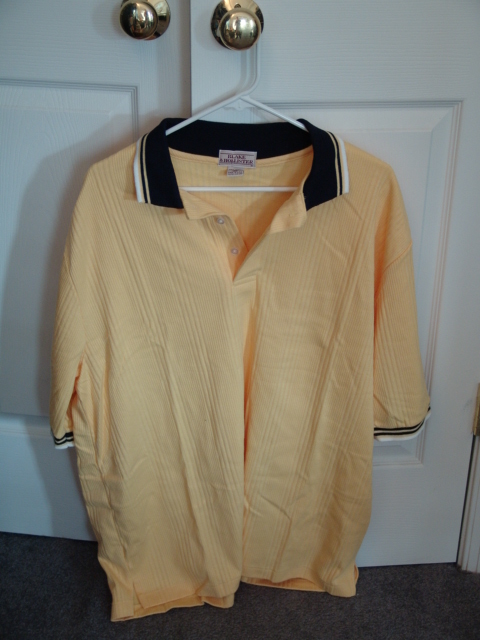 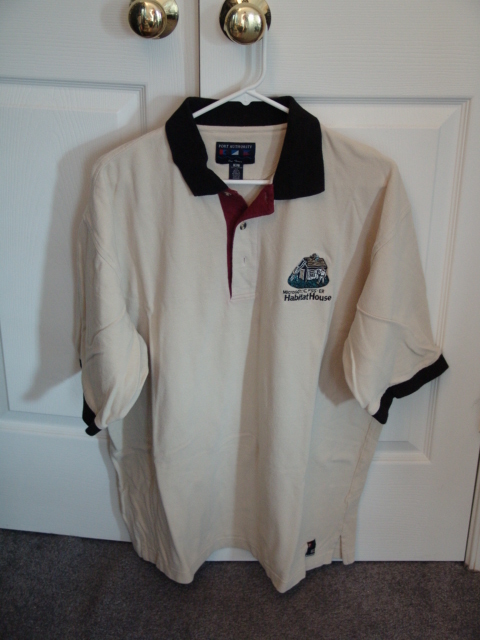 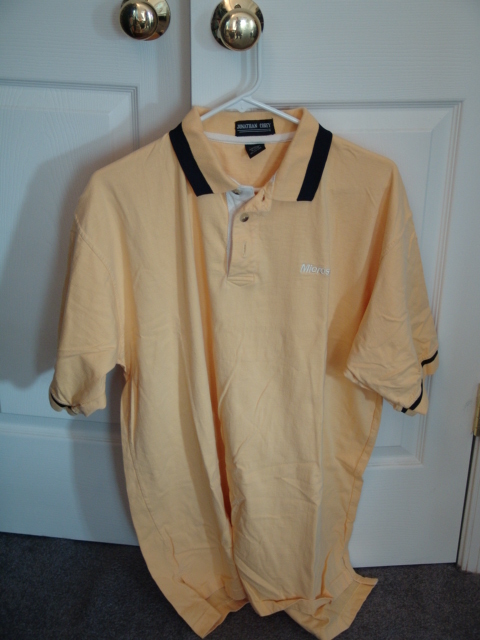 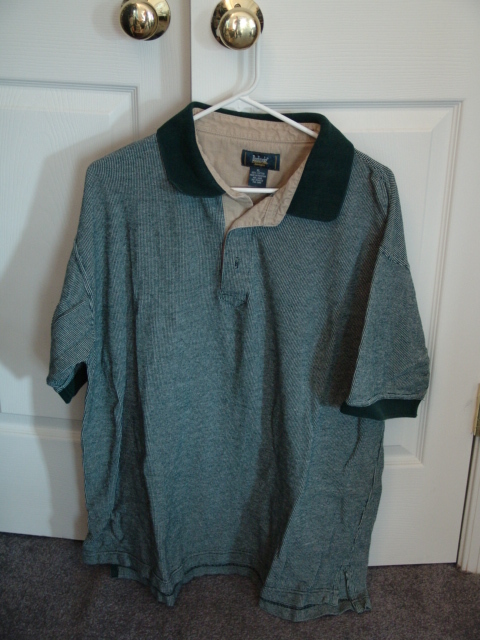 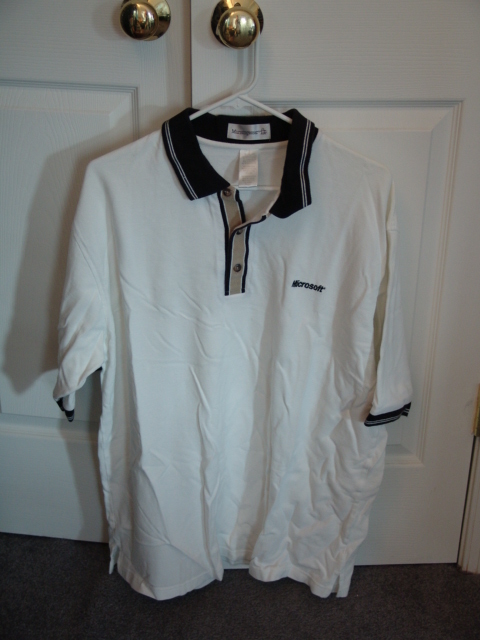 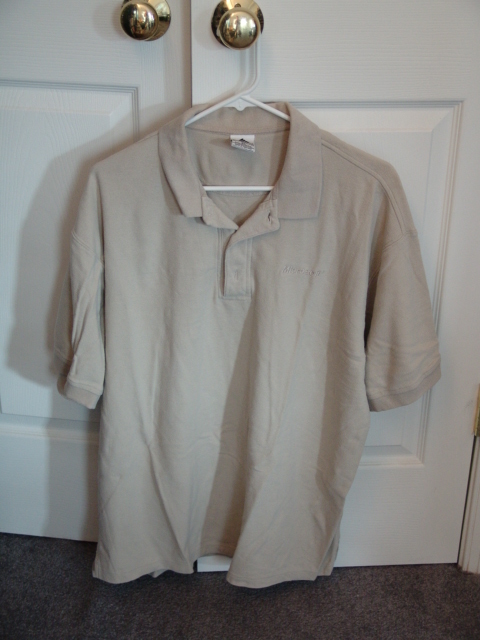 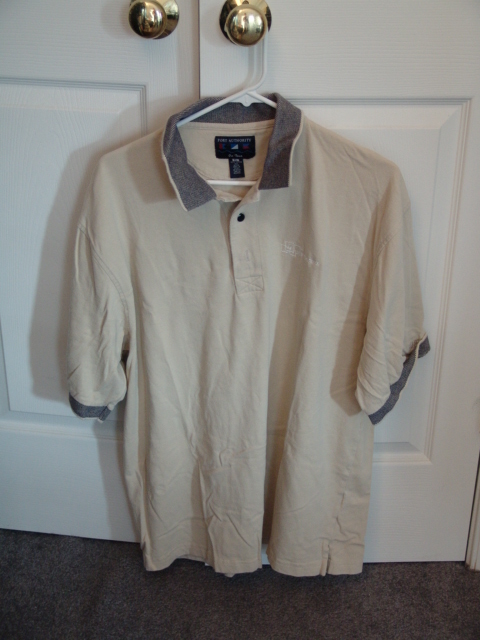 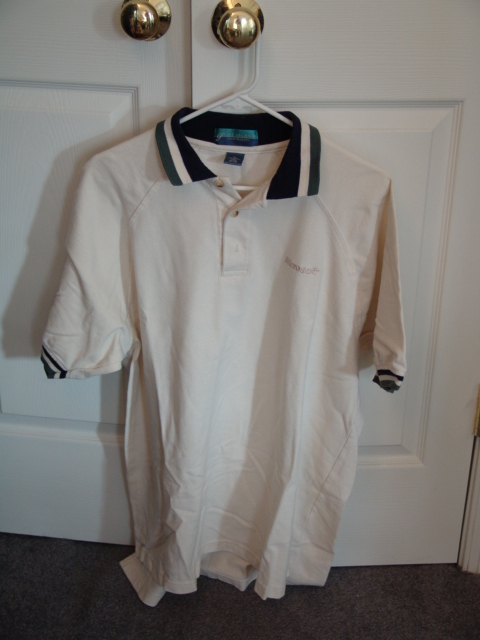 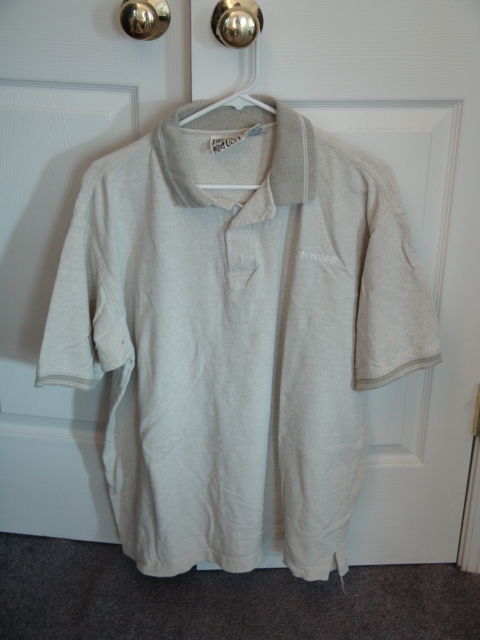 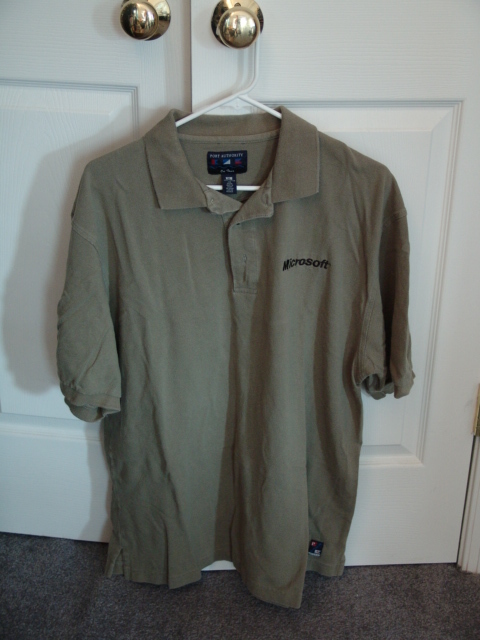 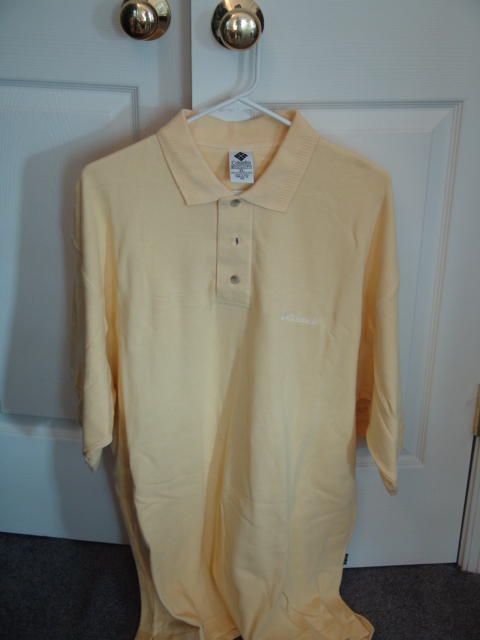 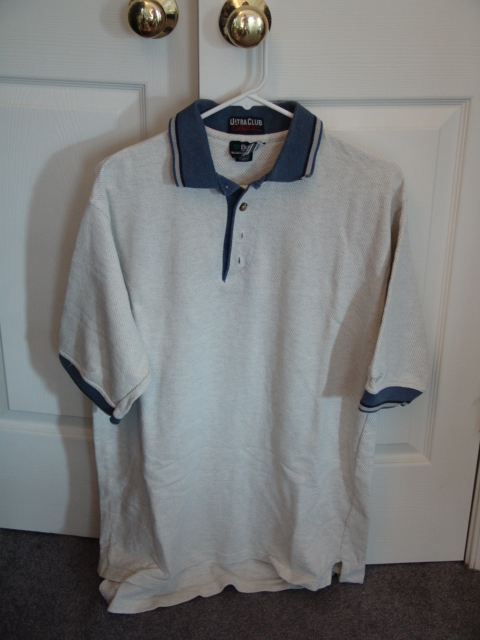 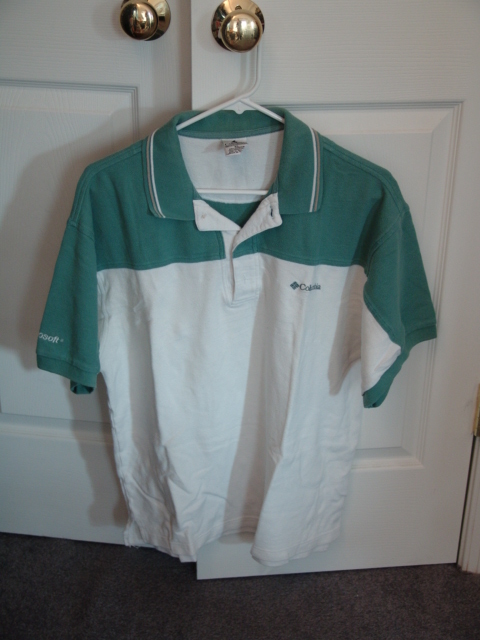 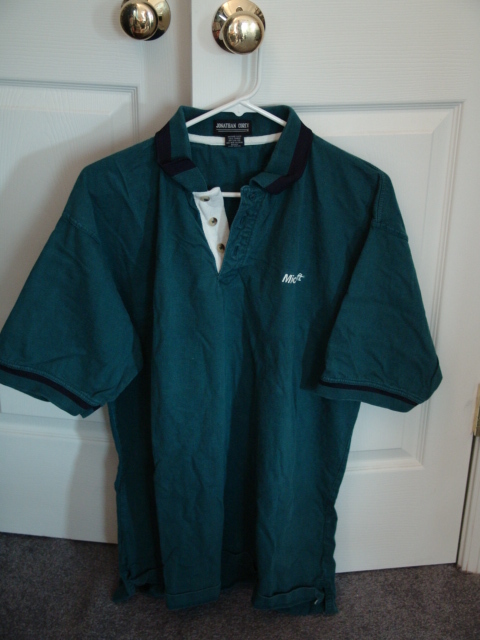 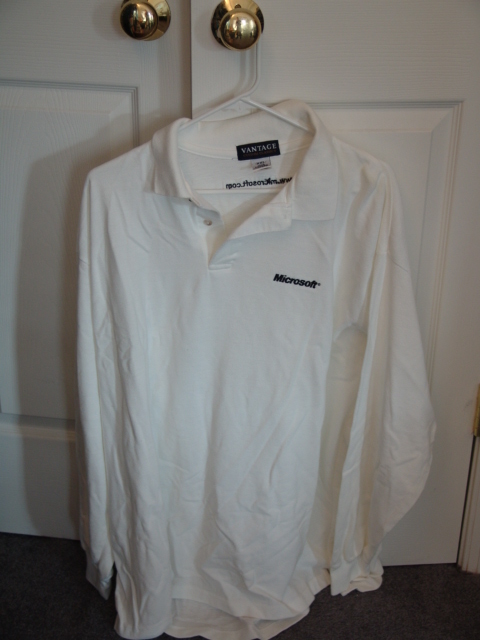 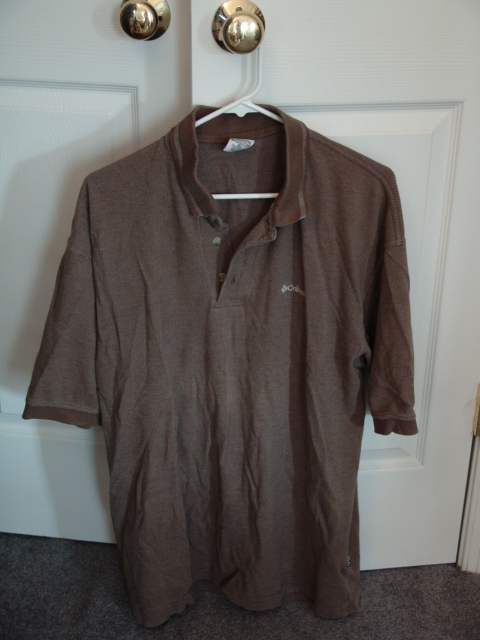 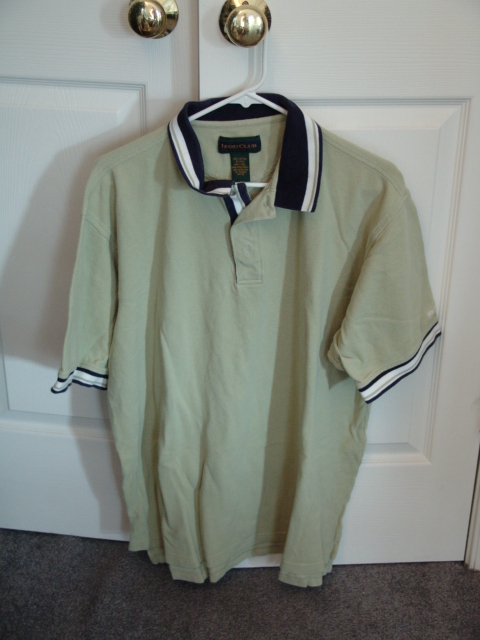 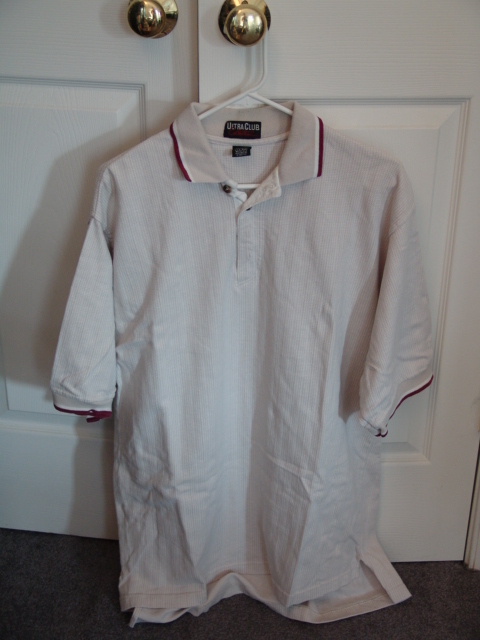 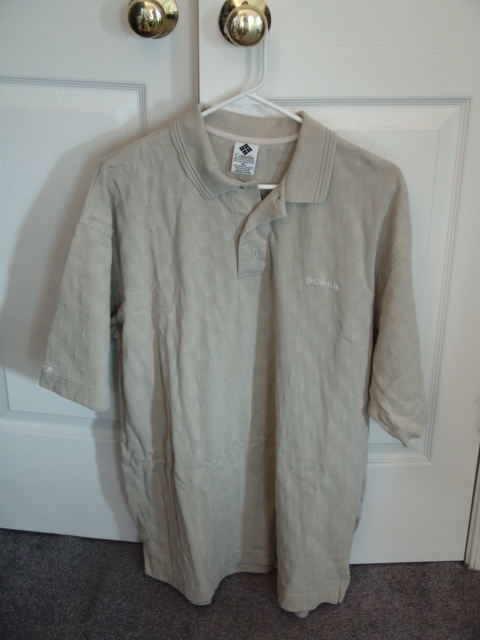 43 XL white with black/tan accents Munsingwear Microsoft logo on left chest SOLD! 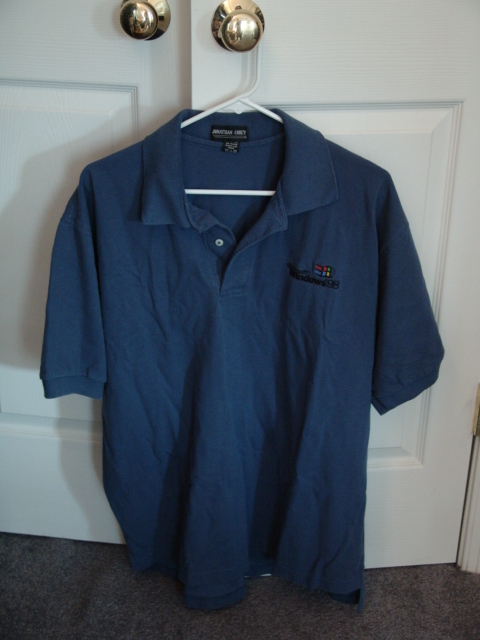 55 XXL dark blue event shirt Cross Creek Microsoft logo on left chest SOLD! 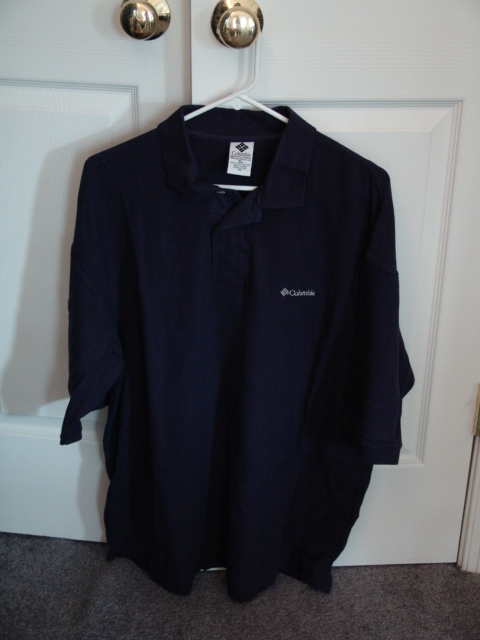 62 XXL blue/tan mini-checks and blue collar Columbia Microsoft logo on patch on left sleeve SOLD! 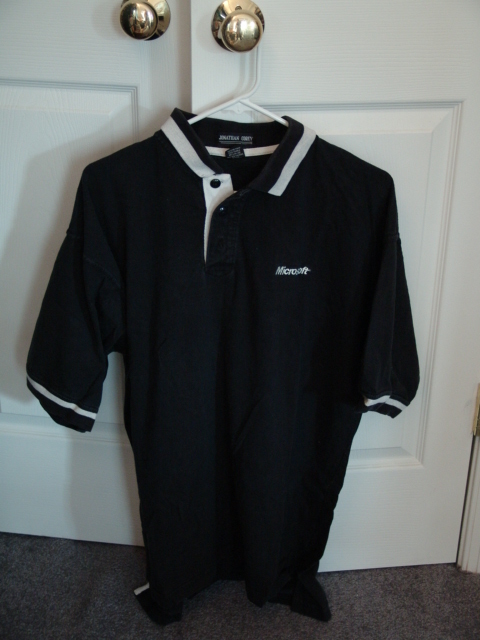 67 XL black with white accents Jonathan Corey Microsoft logo on left chest SOLD! 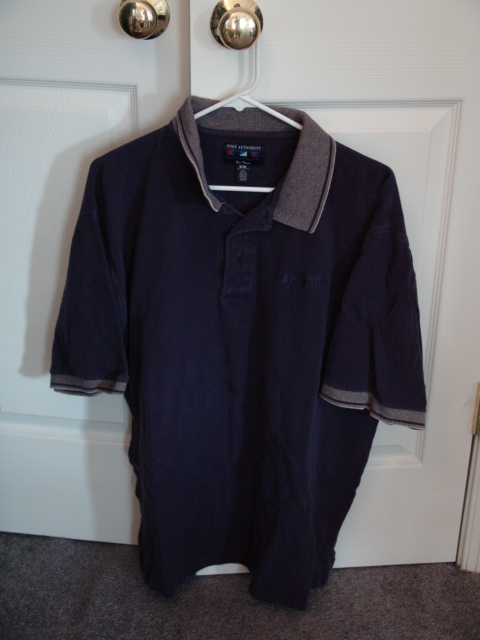 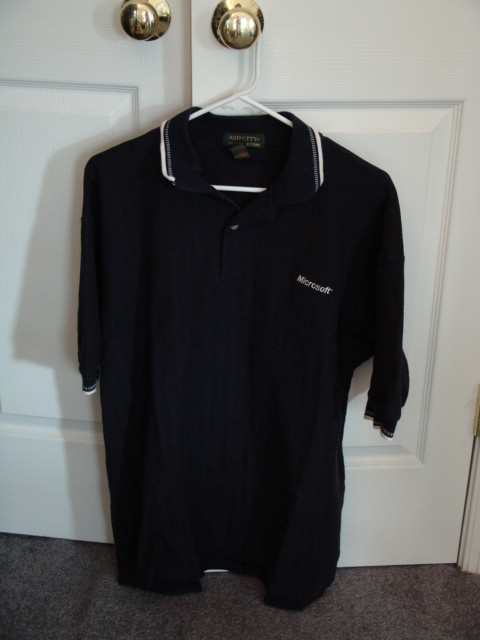 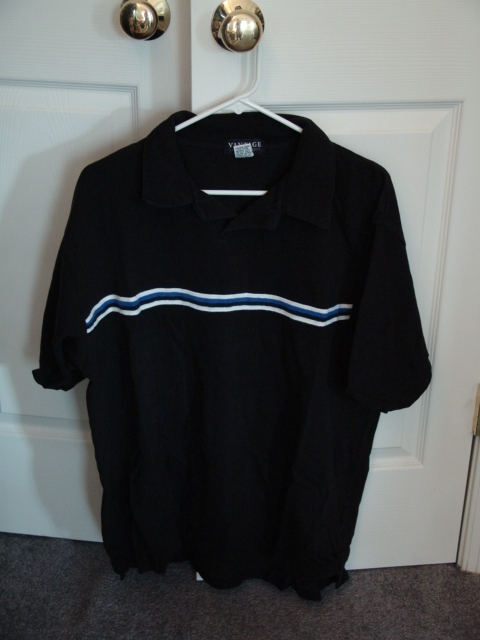 68 XL black with blue/white/black stripes Vantage Microsoft logo on right sleeve SOLD! 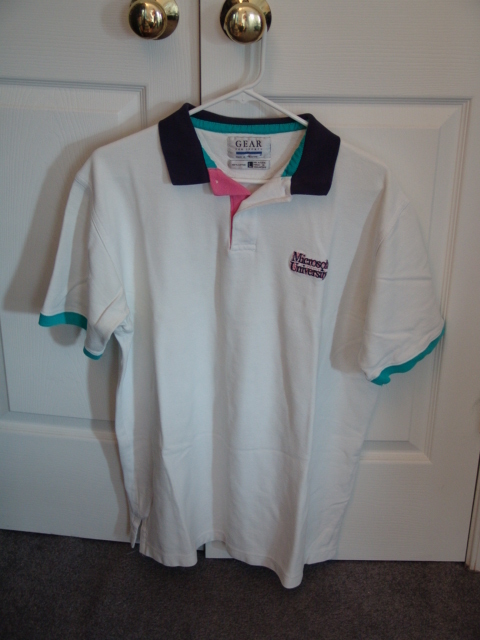 Click here to return to http://www.clayjohanson.com/.